Located in Woodbridge, ON, Bellwood Sheet Metal is a HVAC construction company who recently installed a MultiCam 1000 Series Plasma machine in their facility. 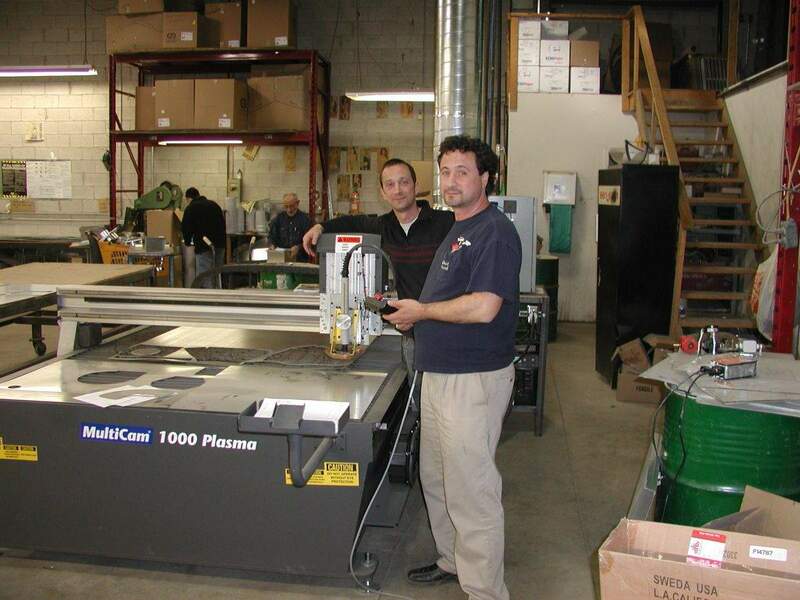 They specialize in sheet metal contracting and fabricate for all your sheet metal and ducting needs. The MultiCam 1000 Series Plasma is designed for companies looking for a cost-conscious CNC machine that is ideal for their HVAC applications. It features a heavy, all-steel-plate frame base. We can equip it for light-to medium-duty plate cutting. The 1000 Series Plasma features dual drives, an engineered aluminum extrusion frame, 25mm bearings throughout, and state-of-the-art Hypertherm plasma units, as well as the legendary ease-of-use of the MultiCam Controller.